The last four weeks have once again brought tremendous progress to Nuki. We’ve received another batch of 20 prototypes, started the production of our packaging, succesfully concluded stress testing, began with the last certification requirements, ran usability tests with beta testers and finally submitted the Nuki iOS App for App Store approval. Besides these positive updates we sadly also have to share bad news regarding shipping dates with you. We ran extensive stress tests throughout the last three weeks with the prototypes out of the second batch to verify our quality requirements. The tests were specifically targeted to examine any signs of wear during durability tests and the overall lifetime when repeatedly opening and closing the door very hard. The test results were just great, proving there were no signs of malfunction during a simulated lifetime of ten years at eight openings and closings per day and no damages to the mechanics and electronics used inside the Nuki Smart Lock. 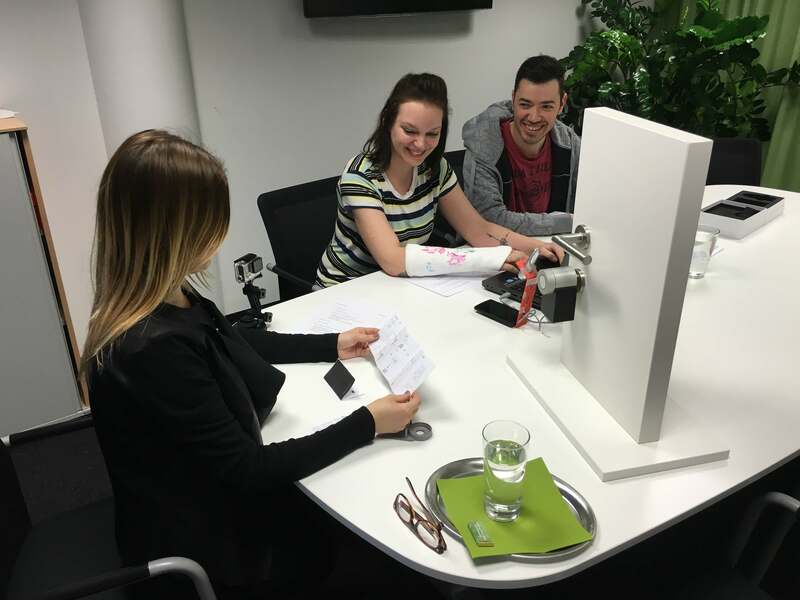 Next to the stress tests we ran usability tests with some Kickstarter supporters located close to our office. These tests focused on the unboxing experience, the installation of the Nuki Smart Lock at the door, the initial setup in the Nuki App and all everyday usecases. The core functions of Nuki were handled quickly and inituitively by the testers, still we could take away a bunch of valuable learnings for the optimization of the Nuki installation guide and manual. We were pushing our production heavily during the past weeks to ship the first Nuki Smart Locks. Unfortunately we had to face a major setback last week when we were updated on a supply bottleneck from our chipset provider. Consequently we cannot start shipping by end of February. After tough talks with our supplier we were guaranteed to get the required chipsets by mid of April. So we will ship the first major batch of Nuki Smart Locks starting from May. Until then our manufacturing capacities will be well aligned and starting from June we should be able to ship about 1.000 Nuki Smart Locks per week. All orders (Kickstarter and Nuki Shop) with initial delivery dates for December or February will be completed by June. We’d like to apologize for this delay and hope for your understanding. We will make best use of the additional time to further optimize the Nuki products so that the final version of Nuki will definitely meet your already high expectations. During the last weeks we’ve replied to many of your mails asking for a shipping date for your order. To make this process more efficient in future we will provide all of you with a login to our shop system, where we will display your order details and the estimated shipping date of the order. More info on this will be available in about two weeks in our next update. Prior to that we plan to do a backer survey to all Kickstarter supporters to complete all shipping data and to merge this information with the data in the Nuki Shop system. So ideally we can save on delivery cost in case you placed an order on both systems.